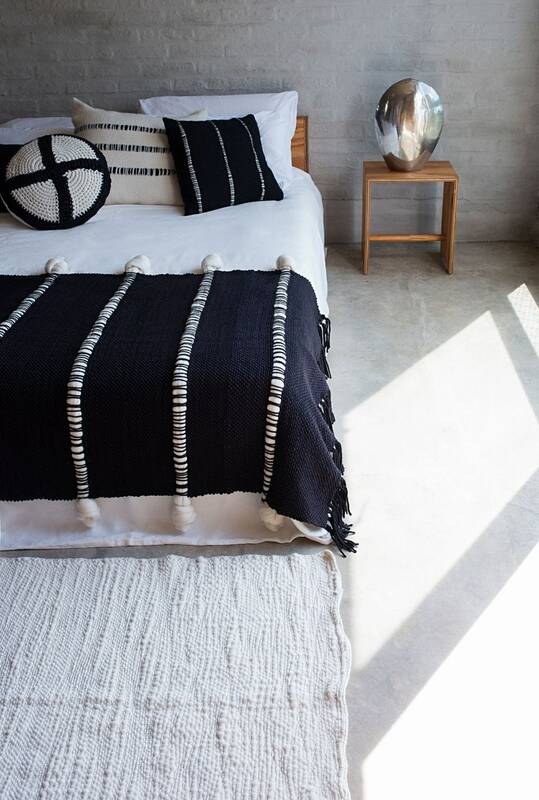 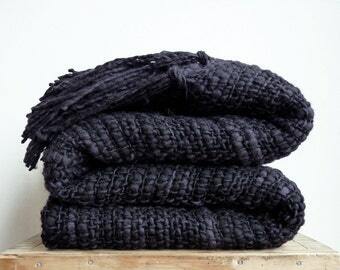 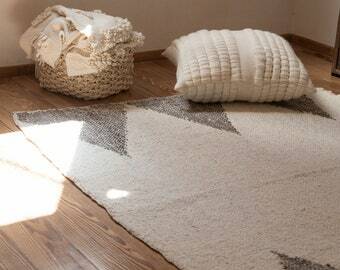 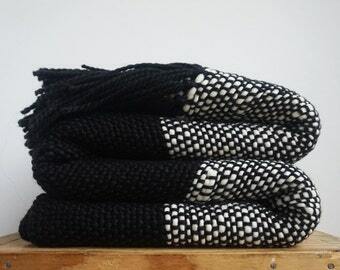 The minimalist tapestry throw afghan blanket is made with 100% chunky black eco dyed merino wool and felted raw wool. 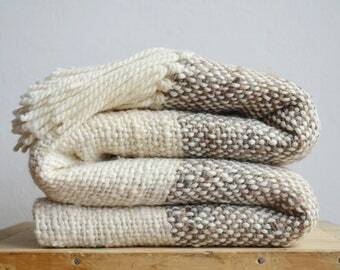 Get comfortable and warm with this hand woven knot blanket that will last for years and years at your house. 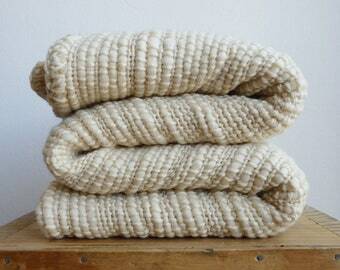 Handmade in a wood handloom, the woven wall hanging is the perfect special gift for you or the one you love. 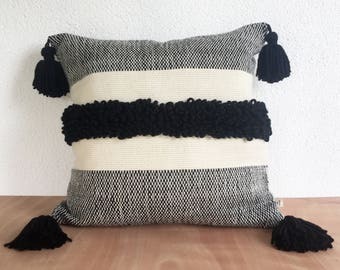 I love this dorm room bedding because it can be use at: bed footboard, Sofa, Outside, when you are travelling, Meditation, Yoga, at bed reading a book, watching a movie, as a holidays gift, where and whom you can imagine!